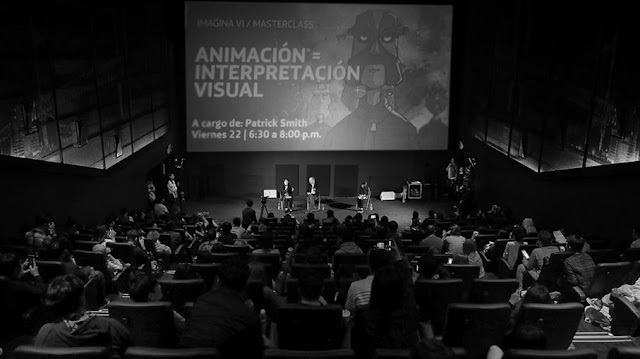 "Smith's animation workshop has a hands-on, relaxed approach that serves up exactly what you want, a mix of practical artistic tips and storytelling techniques that will reenergize, entertain and inspire. I learned a ton." "Smith pushes us to think of animation in new ways, emphasizing the power of the medium and it's unique properties." "One of the greatest teachers I've ever met." • Sarah Lawrence College, Spencer Barnett Memorial Fund visiting artist. • Media Innovations Foundation, Tbilisi Georgia. • Fundación Telefónica, Lima Peru. • Literally Short Film Festival, Houston Texas. • Niagra Community College, New York. • Animasyros Animation Festival, Greece. • Brookings Museum, South Dakota State University. • Plymouth Film Festival, Plymouth, Massachusetts. For bookings or event planning questions, please contact the studio at info@blendfilms.com.